I told you I get obsessed from time to time! Tip, do not use water or oil base colorants! Colorants should be powder form, best to be shimmery or sparkly but don't use dye! Do you know that some fragrance oils out there can be as moody as us the women?! Seriously, no joke! 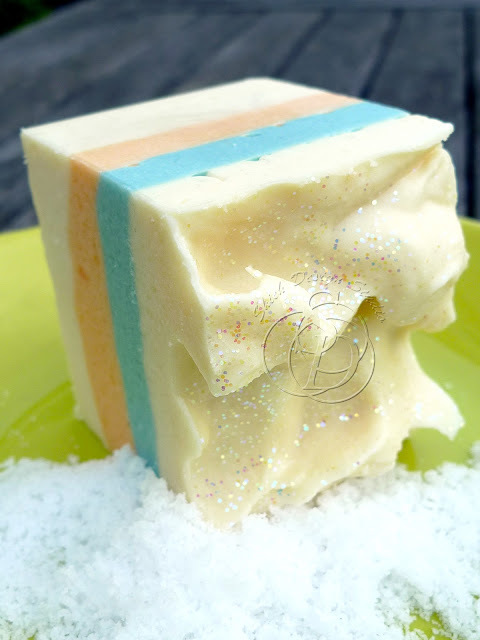 The #1 most common moodiness from the fragrance oils we use to soap is acceleration of trace, worst case, soap on a stick, meaning once it hits the batter you can lift the whole "batter" up with your spatula! This usually happens to heavy floral or spice noted fragrance oils. We got so well trained by these we learn to go around it. Today I want to talk about the more rare soaping fragrance moody behavior. As a fragrance addict I "collect" well over (and ever growing) 100 different ones... yes I know, I need help... Out of all I soaped with, I can count with one hand how many fragrance I have encountered with this rare naughty behavior. The first common characteristic of these naughty fragrance oils is that they do not accelerate soap trace, in fact, some even slows it down. So what curve ball do they throw at us?! ASH INSIDE OUT!!! No, it is not stearic spot, trust me, I made a big batch to split into 2 and poured into same mold with divider, this one got it, the other fragrance got absolutely NONE. How about this one? Oh gosh the ash is so evenly distributed, should I thank it or should I hate it?! Let me show you more of the my earlier soap that did the exact same thing. What do you think of this one?! It was so bad on the top I had to chop the whole top off, but even that it was just way too ugly to sell. After 3 years of soaping I finally had semi success in eliminating most of the ash. I figure maybe it just need a little more heat, to speed up the saponification! Hey, didn't I already mention before that no soap can ever defeat ME?! I soaped that first blue soap again, this time I pre heated lowest setting of my oven before I soap then turned it off. I did whatever doodad I usually do, sprayed rubbing alcohol on top a couple times, then popped it into the warm oven. I'm guessing the temperature at that moment was probably somewhere around 140F or even less. An hour latter I open the oven to check and it was perfectly fine, no gelling no nothing. Total false sense of security! I fell asleep for a quick weekend afternoon nap. By the time I got up, the soap was already cooling down and a couple big cracks showed up on the top. I'm pretty sure it wasn't that hot in the oven or else my blue colored sugar crystal would have melted or my plexiglass mold would have deformed. But that cracks were obviously caused by over heating. How can soap over heat when it didn't even go through gelling?! I'm in love with this new easy to make swirling technique! 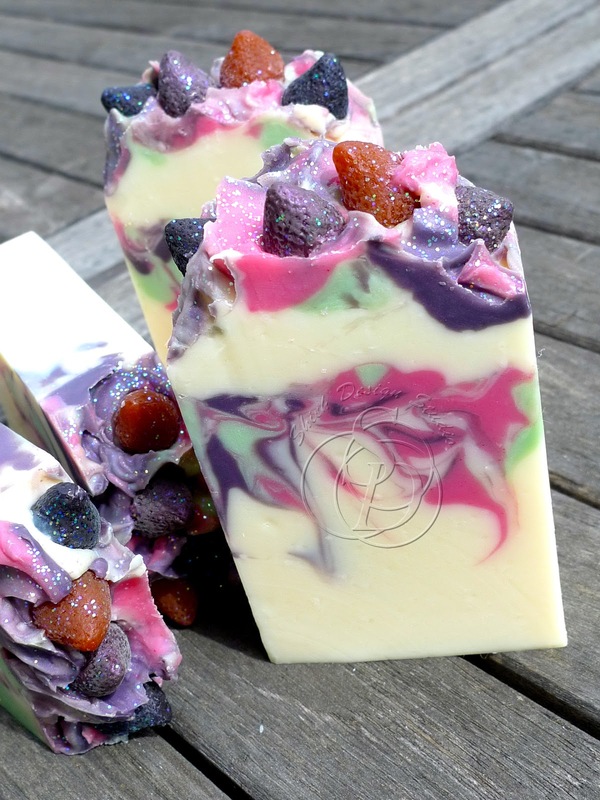 I saw Holly from Missouri River Soap did one, see her post here: Green Apple Rose and I just have to try. She made it look so effortless I don't think I can ever compete with her Green Apple Rose. This is basically swirling an ITP (in the pot) swirl in the mold with another base color. Let's talk about ingredient choices in my soap. If you are a soaper you probably already heard about palm oil and what's being happening to the poor Orangoutang. For none soapers, palm oil producers which mainly located in Southeast Asian countries have been destroying Orangoutang's habitats (and killing them) to plant more palm trees. There has been a big movement of anti-palm oil in the soaping industry or at least moving over to using sustainable source which charges an arm and a leg. Now, here's my personal feeling about this whole thing, please don't attach me if this does not suit your taste. I believe in using everything in moderation, who's there to say if we switch to none palm there's not going to be another environmental emergency because all of a sudden some other oil is in HIGH demand and something else is being destroyed? I don't want to be a hypocrite, I eat meat, I use gasoline, have all fancy electronic toys, wear leather boots, fly airplane burning jet fuel. The world is grey, not black and white, I'm just human. Besides, the biggest threat to the environment is us the human anyway. We should boy cut ourselves really. I'm not going to say poor Orangoutang I'm going to boy cut palm related products and turn around continuing eating my juicy steak and yummy fatty tuna sashimi. For that said, I'm going to share my soaping ingredient choice philosophy with all my readers. 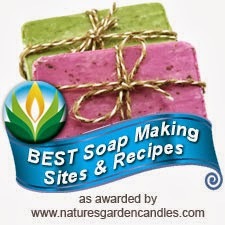 Unlike a lot of soapers I use a lot of different recipes or formulas for my soap. All depends on what oil or butter I can get with reasonable prices. For example, cherry kernel and jojoba used to be affordable 3 years ago, so I formulated to soap with these oil. Then it got expensive maybe because of the demand or production difficulty, I moved on. Then there was the hazelnut, peach kernel, then pistachio, macadamia nut and walnut. Have you checked the prices for these oils lately?! And now even olive oil price is hiking up! When I finish soaping with the ingredients that are no longer feasible I move on to find something else and reformulate. I guess I would classify myself as a "seasonal" soaper as soaping with seasonal ingredients. 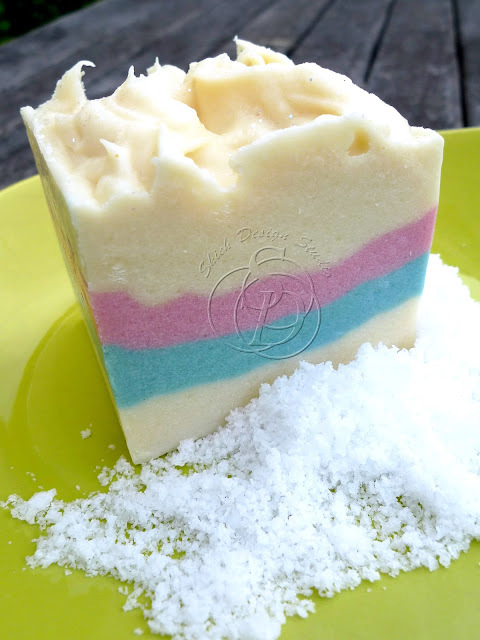 I always maintain variety of soap recipes, some with palm some without, some vegan some not. I am very flexible and adoptable. I experiment on ingredients all the time. There are thousands of trees in a forest why stick to one specific tree? 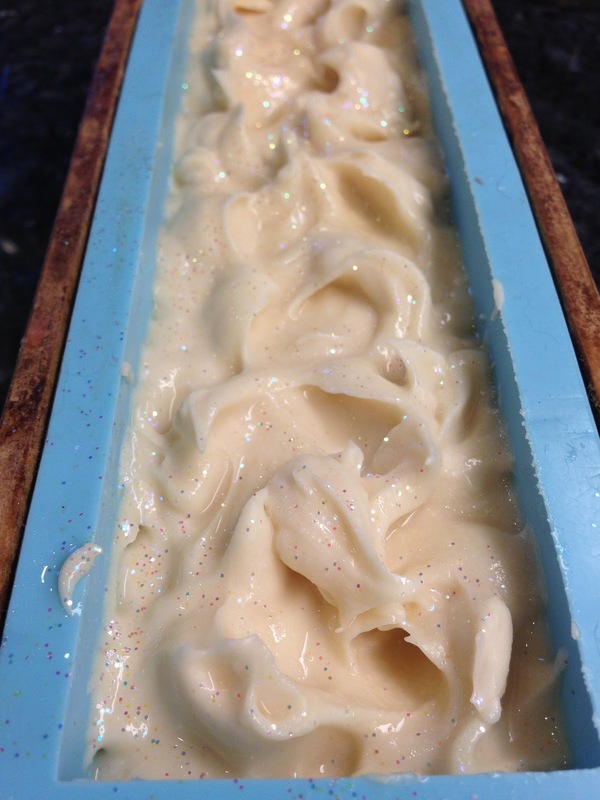 It is still cold process soap made with lye and oil/butter, but added a twist similar to whipping body butter. Normally one would dissolve the lye in some kind of liquid, melt the oil and butters, mix them together at a certain temperature somewhere between 85F to 110F. Whipped soap is different in the sense that it's made under LOW temperature, below butter's melting point. First of all, not every recipe can be made into whipped soap, it has to have high saturated fat and low unsaturated fat. Saturated fat is what make an oil or butter "hard", like coconut oil, palm oil, cocoa butter... etc. 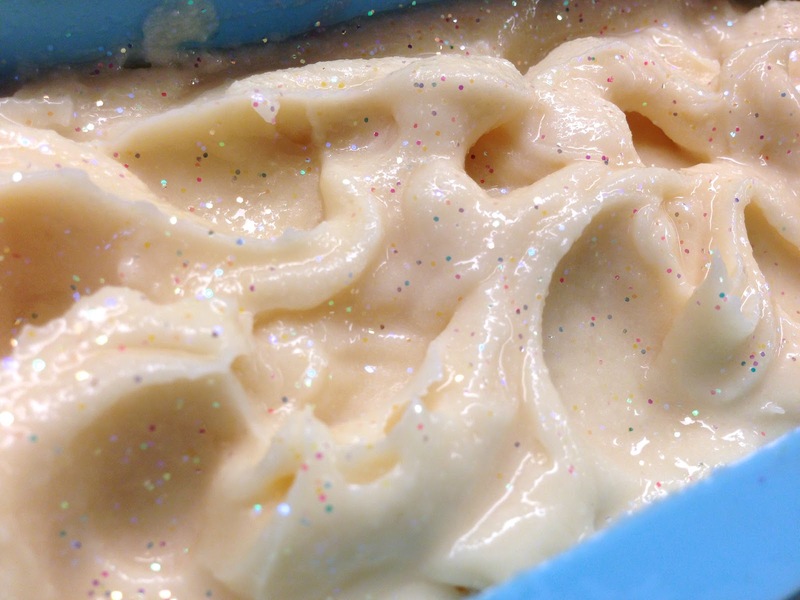 My whipped soap recipe consists of 80% solid oil and butters under room temperature. Melt the hard oil and butter, mix it well, then pop it into the freezer until it start to solidify again, similar to making body butter. Take it out and whip it to pump in air, air is what fluff up the mixture. Pour in cool (I mean it) lye solution into the whipped oil/butter then whip some more. Last, pour in the soft oil (liquid under room temperature), fragrance oil, and colorant then whip for the last time. Pour into mold of your choice and keep it cool for 24 hours. Why make whipped soap?! Well, it's fun! Take one to your tub filled with water and it would never sink down to the bottom! It's the air you whipped into the soap that makes it float ! 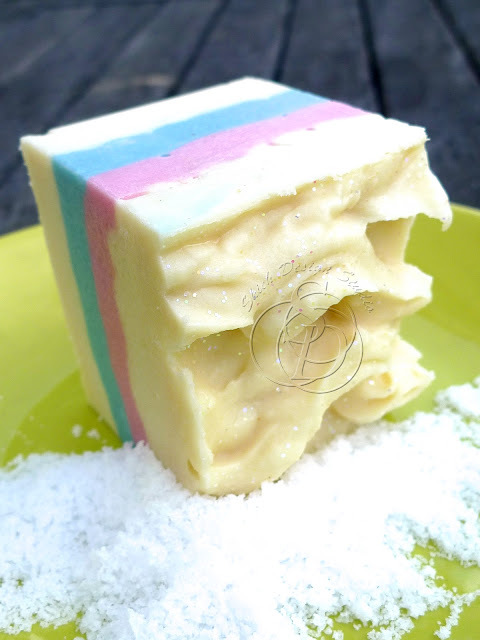 Whipped soap has a texture similar to marshmallow or angel's food cake. They are very spa type scents, great for the summer. Did I make it interesting enough that makes you itchy to try yourself? !